Across the board Maniac reminds me of several bands. The vocal timbre of lead vocalist Zache Davis recalls Mark Ryan (Marked Men) and so does the rhythm section, though it’s not nearly as hyper. Justin Maurer, who also picks up the mic at times, has a darker tinge to his songs. The tempo is fast, I guess you’d say in the garage-punk range, though the sound itself is far cleaner – more power pop than any of the previous descriptors. The record starts out solid, but unspectacular before hitting its groove in the middle. Here, “Calamine” and “Modern Love” delivers its sweetest pop. “Calamine” is sugar pop with a full-on “oh-oh-oh,” then “Modern Love” has a bit of a dark undercurrent while the band harmonizes to a clean and pleasing hook in the build-up to the “Whoa-oh, it’s a wasteland” refrain. Both songs show a delicate balance of big hooks, tasteful solos, and subtle changeups. This is definitely a stylistic fit on Dirt Cult, alongside bands like Chiller and Low Culture, though broadly speaking Maniac is more contained (which is interesting, given their name). Lately in reviews, I try to find a single song of an album to represent what the group is doing throughout the record. While that’s not going to work with every release, on Dead Dance Club, the song “Post Post World” gives a strong impression both of what Maniac is doing artistically as well as their broader tone. This song is critical of the modern world, but focuses primarily on their own place within society instead of taking a third-person point-of-view harping on politic structures or specific cultural issues. It’s poppy but there’s something dark within. Maybe the “post” name put this in my head, but I hear a subtle post-punk rhythm that that gives a surreal complexity undercutting the melodic pop on the surface. Power pop may be the best description for the album as a whole, but I hate to pigeonhole Maniac with a single tag like that. Between the sugar pop of “Calamine” and the darker vibe of Maurer’s songs, there’s a lot more at play. It’s fairly true-to-style, yet with nuances that set it apart. 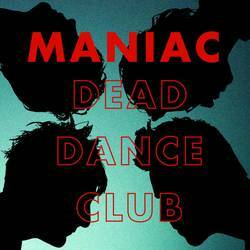 Then, for the ultimate change-of-direction, the band ends things on “Dead Dance Club,” which incorporates a club beat that ends things on a wilder note. Posted Oct. 15, 2018, 8:48 p.m.